Sevjet offers the finest private jets for charter to and from anywhere in the world. Use our Jetcard service to simplify your trip while we take care of everything. With offices in USA, Canada, UK, France, Spain, Germany, South Africa, Russia, UAE, Hong Kong and Japan, you can be assured that we will find the perfect aircraft available to you worldwide. CitationAir, owned by Cessna Aircraft Company, is a private aviation solutions company, providing transportation solutions that meet customers' personalized needs. Specialty types of aircraft charter flights include: Group and Incentive, VIP Charters, Executive Jet Charters and Emergency Air Charter Flights. In the airplane charter business since 1997, an on-demand aircraft charter company based at Norwood Memorial Airport, MA. Established in 1976, one of the nation's leading airline consolidators. Satellite offices in New York City, Washington, D.C., Fort Lauderdale, Chicago, Houston, San Francisco Los Angeles, Toronto and Mumbai. Since 1990 has steadily grown in reputation as a leading international, aero-medical transport specialist. Great Airline rates, , Hotel and Vacation Packages. Flightnetwork is the 2nd best online travel agency in Canada and prides itself for offering cheapest deals on flights. Portfolio includes 60 different carriers including US flights and fares to Europe, the Middle East and South India, the Far East and the South Pacific. 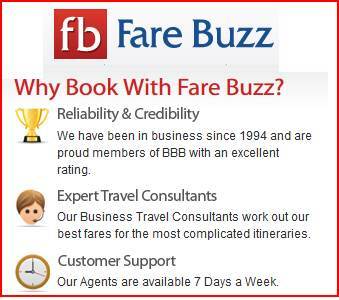 Over 33 years experience, 80 airlines & 30 million negotiated fares from the USA & Canada. For over 30 years working with more than 70 domestic and international airlines servicing the world's most popular destinations. Discounted airfares on major U. S. and foreign-flag carriers to worldwide destinations. Contracts with over 40 Airlines with net fares to various destinations worldwide.